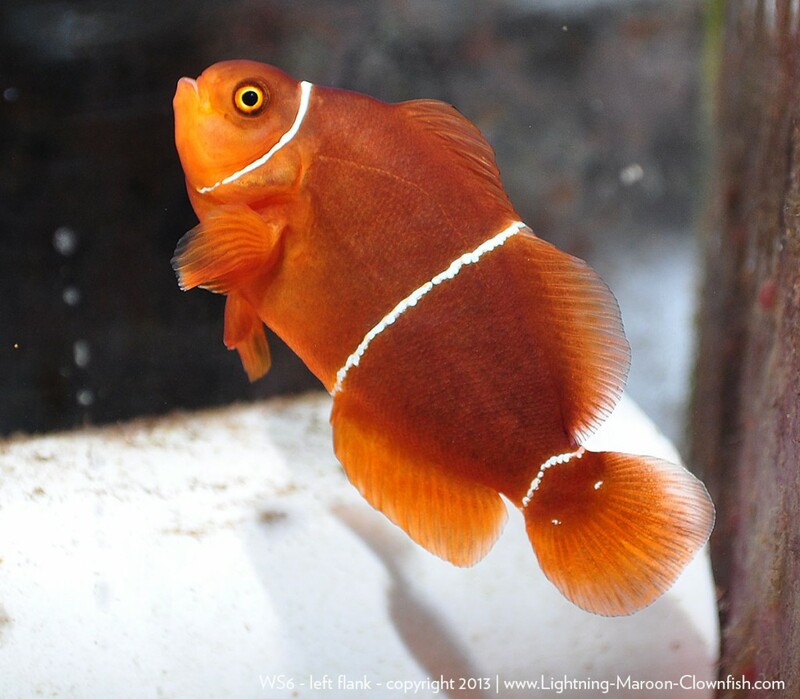 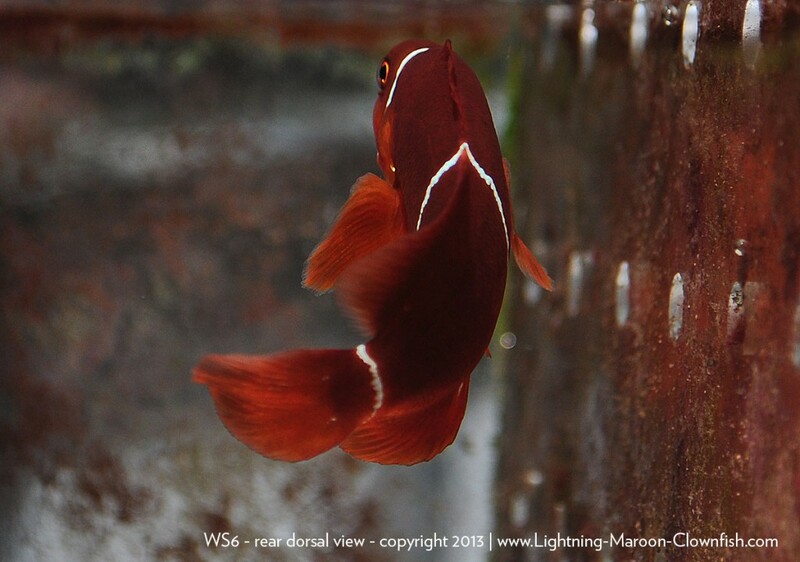 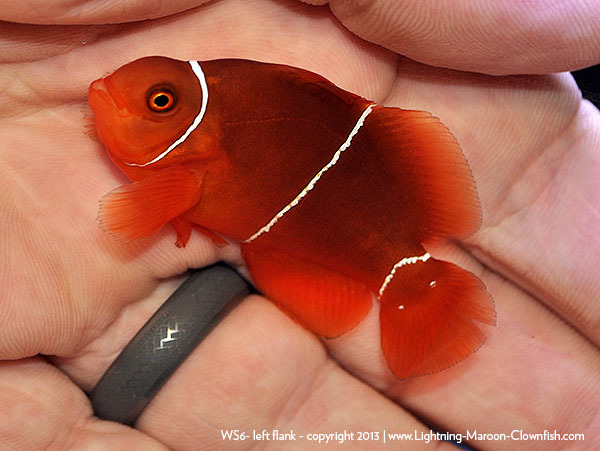 Not the best representation of a captive-bred Maroon Clownfish, there are definitely some flaws. 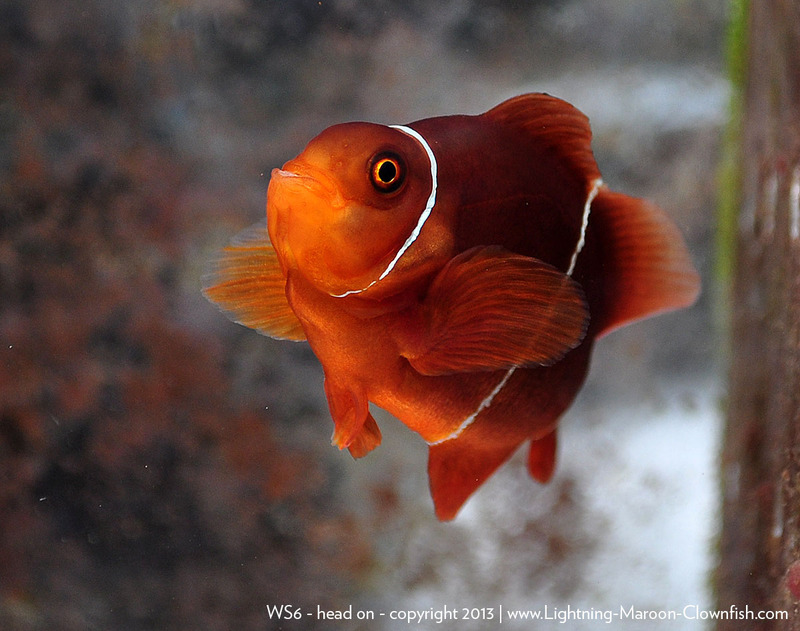 The left ventral fin is very gimpy (twisted), and this fish exhibits a rather definitive pug-nose face. At the time of photographing it, there was also a split in the caudal fin (tail), no doubt the sign of the ongoing aggression that occurs among white stripe maroons in growout (and as demonstrated, healed in the later series of photos). 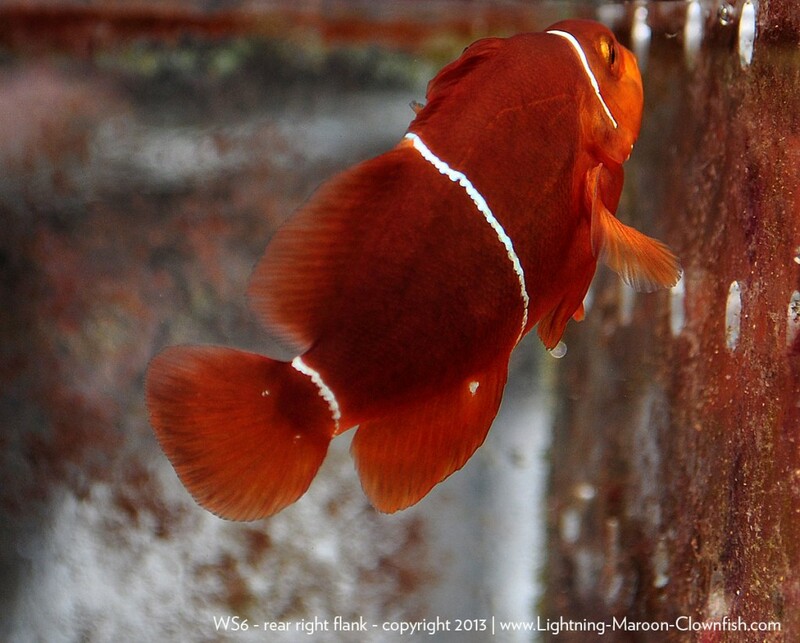 On the redeeming side of things, it definitely shows some random white spots on both flanks. 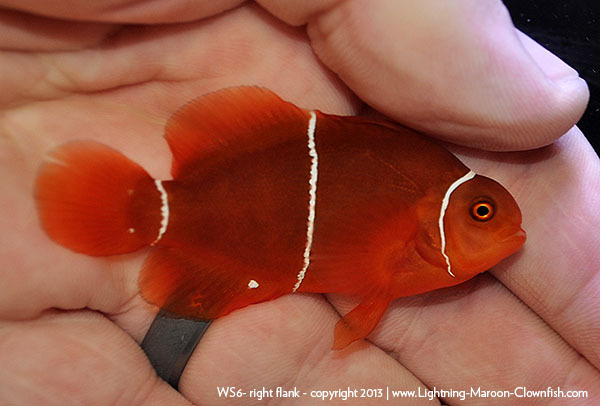 Ordinarily, a fish like this would fall into my culling category due to the shape of the head and poor ventral fins. 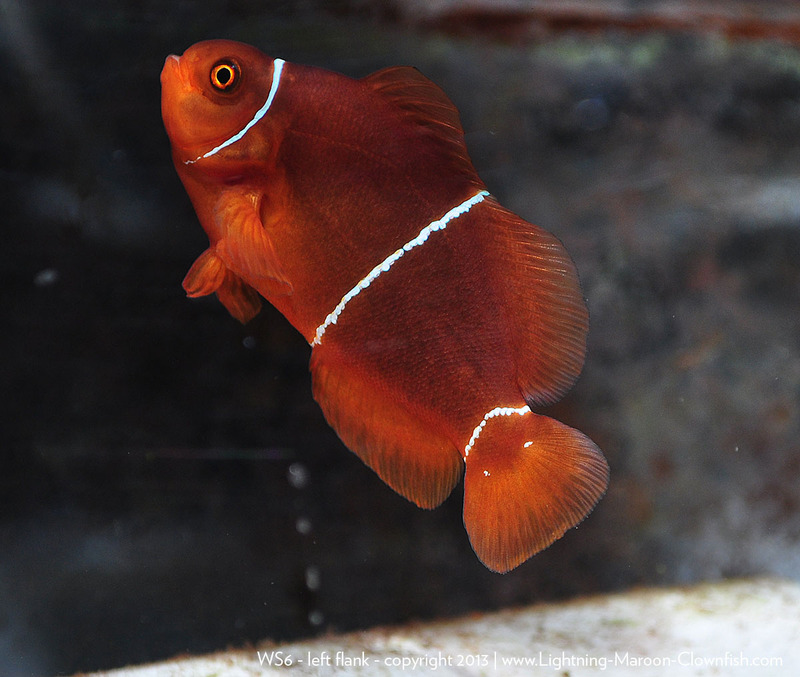 As with all fish being offered, the defects are not presumed genetic at this time, and the main reason for offering these fish is to broaden the size of the F1 population going forward (ensuring genetic stability where possible).